I’ve been on a baking spree the past few days. It all started because I had extra canned goods from the week of Irma. I stocked up my pantry in case she struck Charlotte, NC. A sweet potato cake? Yum!! Now I’m inspired to create other healthy treats with my other canned goods that were leftover. 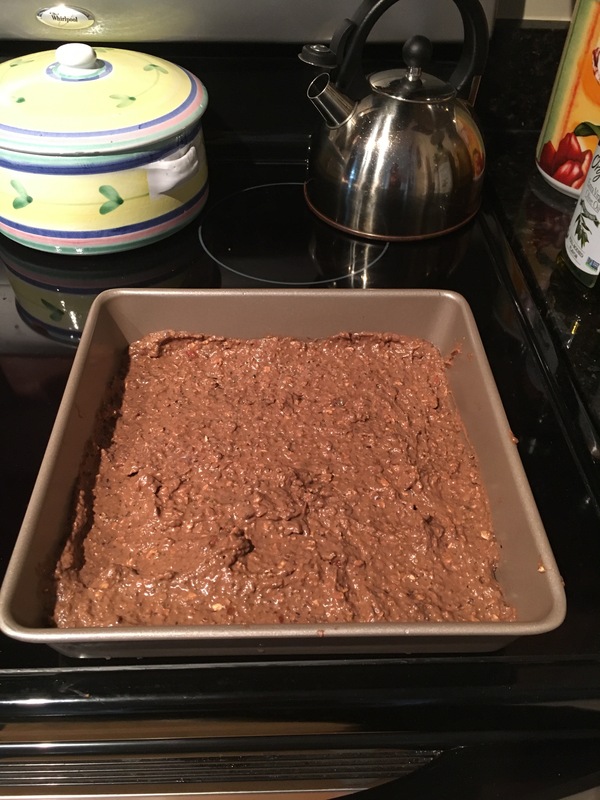 I researched how to make black bean brownies. It’s very simple and so delicious! 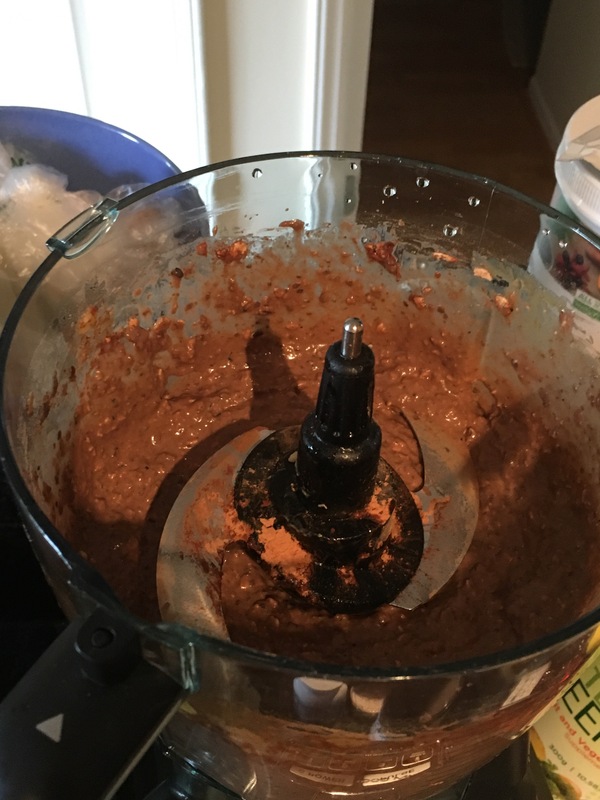 I think they taste better than my last batch of ‘conventional’ brownies because this time I actually made it with real superfoods & ingredients. Check it out. Look at the pics and then scroll further for the recipe. 1 tbsp of coconut milk yogurt. (I used this because I didn’t have 1/2 tsp of baking powder. •I added 2 eggs to create more density. Plus I like eggs. They are good for me. 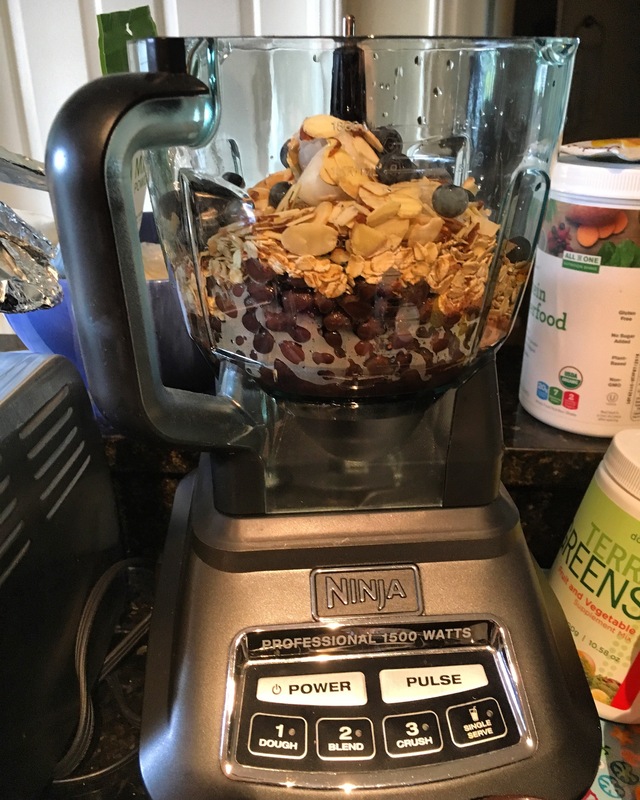 •I also added some goji berries, sliced almonds and blueberries. Once it’s like a mix, put it in a baking pan. Let it sit 10 minutes before eating. Let it cool overnight in the refrigerator. It’s always good after sitting that long.